Many U.S. officials have believed for years that Pakistan protects and supports terrorist groups to use as proxies against India, in Kashmir, and against the U.S. and NATO in Afghanistan. When Adm. Michael Mullen went before Congress last month and described the Haqqani network as a "veritable arm" of Pakistan's Inter-Services Intelligence agency (ISI), he gave voice to those concerns. Pakistani officials were outraged. So who are the Haqqanis, and how connected are they to the ISI? Ahmed Rashid, correspondent for The Daily Telegraph, author of such books as Taliban, and one of Pakistan's most acclaimed and independent journalists, joined Ayesha Siddiqa, author of Military, Inc., and former Pakistani ambassador to the U.S. Mahlia Lodhi to discuss that on today's Talk of the Nation. "The Haqqanis have had sanctuary in Pakistan for the last 30 years, and they are extremely close to the military, the ISI. But I think it's a bit far-fetched to say that ... every attack that the Haqqanis have launched inside of Afghanistan has been directed by the Pakistanis," said Rashid. "I think the Haqqanis have a lot of autonomy with what they do. They've been the enemy of the United States for the last 10 years, they've been fighting there alongside the Taliban with al-Qaida as well, they have close links to al-Qaida, something that Pakistan has also been fighting against. So it's a mixed bag." "Earlier there were charges that the attacks on the Indian embassy in 2008 and 2009 were directed by the ISI, but after that, there hasn't been that kind of charge. ... [But] the Americans have been pushing the Pakistanis to go into North Waziristan, which is the tribal area where the Haqqanis are based... the Pakistanis have been resisting ... for nearly three years now. It's very clear, I think, to the American military that the Pakistanis are not going to go into North Waziristan and not going to deal with the Haqqanis. And I think that's what has prompted Adm. Mullen's comments." Jalaluddin Haqqani heads up the network. Once, "he was a very close friend of American congressmen and senators, [and] he was a guest of President Reagan at the White House," said Rashid. 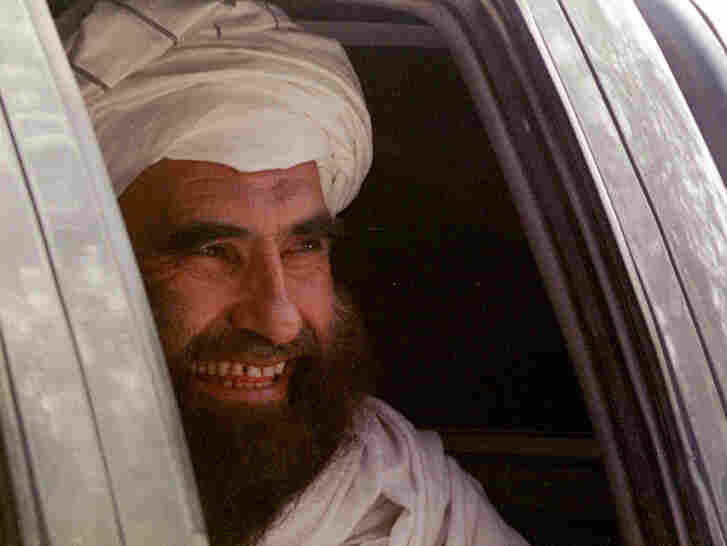 He joined the Taliban "quite late, in 1996, about three years after their movement began. ... His big test came in 2001, after 9/11." Then, Rashid met Haqqani when the Americans and Pakistanis brought Haqqani to Islamabad to try to convince him to the leave the Taliban and join the Americans in bombing Afghanistan. "Everyone tried very hard to swing him, but he would not leave the Taliban, and he went back determined to oppose the American attack in Afghanistan." His two sons now command the Haqqani network. One, Siraj, is fluent in Arabic and has "very good contacts with some of the Gulf Arab and Saudi sheiks. A lot of money has come to them from the Middle East over the years... and he's also very close to al-Qaida, and was a close friend of Osama bin Laden." Siddiqa said there are two views of the ISI's connection with the Haqqani network. The military perspective says "yes, it has contacts, but they're nothing more than just contacts, which any agency would have." On the ground, though, she said people are suspicious of the military's claims, and think the contacts run deeper. "Probably the truth lies somewhere in the middle." Ambassador Lodhi says Pakistanis see American policies as confused. "Pakistan is being asked to help reach out to the Taliban because President Obama has announced ... that there is no military solution to the conflict if Afghanistan, and peace in Afghanistan can only come through a political settlement." "So here, on the one hand," she continues, "Pakistan is being asked to reach out to the Taliban, and on the other hand Pakistan is also being asked to go after them." Thus, Pakistanis see the U.S. as following two parallel policies. "It is continuing to step up kinetic activity, while wanting a peaceful settlement. Whereas Pakistan wants to accelerate the peace process ... It doesn't feel that this fight and talk strategy is going to work in Afghanistan."